I am making separate reservations. How can everyone still sit together? This article is for Trainline account holders. If you would like to create an account, click here. If you want to make a reservation for more than 9 passengers and have everyone sitting together or near one another, there is one trick that we can recommend. Unfortunately this only works for certain trains and rail operators. 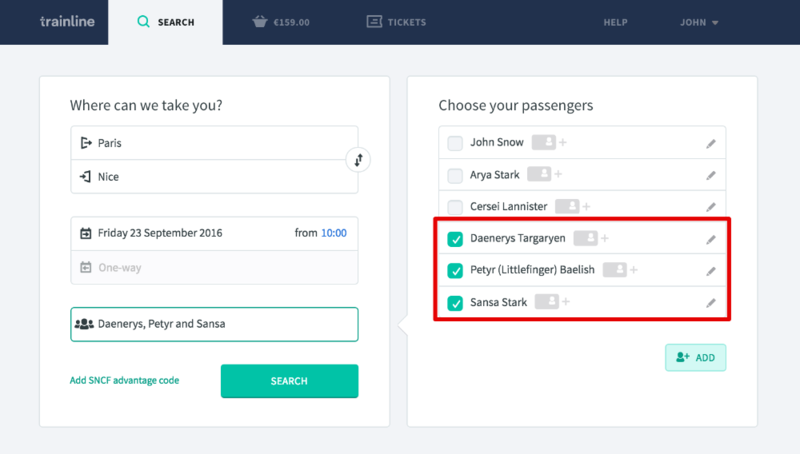 So if you do not see the following option in the seating preferences, then you will not be able to specify seat and carriage numbers. Divide your group. For example, if you want to book for 11 passengers, you need to make 2 reservations, and separate the whole party into two groups. 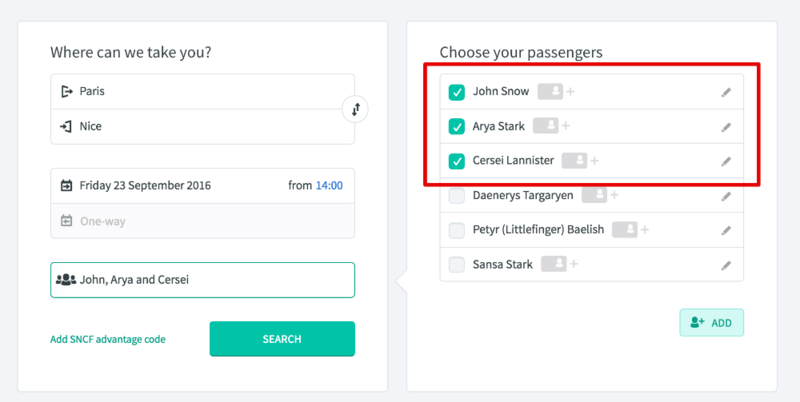 Select the first group of passengers (e.g. 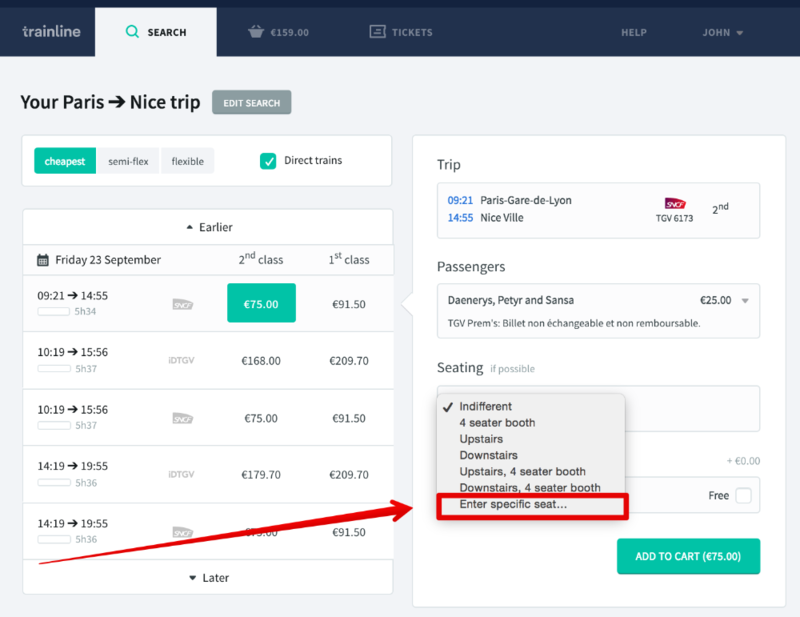 5 passengers out of 11), search for your tickets and then add them to your cart. Then take note of the assigned seat and carriage numbers. Search for your tickets and see if there is a ‘Next to...’ seating preference available. 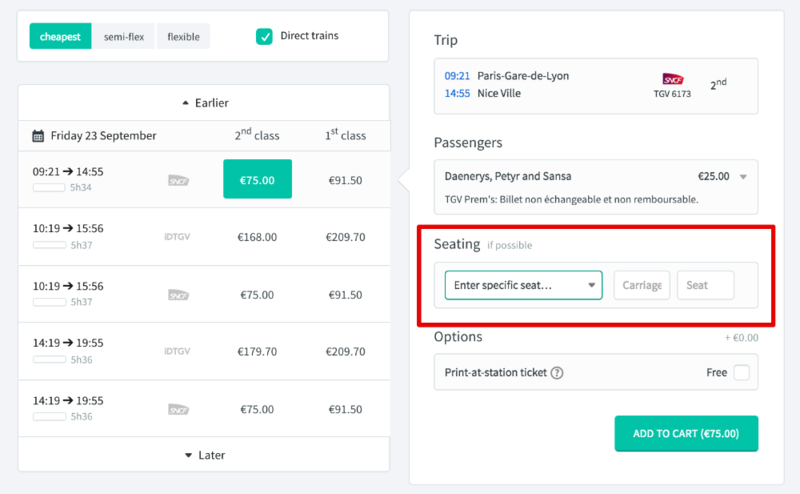 If this option is available, then you can enter the assigned seat and carriage numbers of the existing reservation in your cart. If there are any nearby seats available then hopefully everyone can sit together or nearby at least. We will certainly try our hardest! How can I select my seats? I can’t choose my preferred seats! I haven’t received the seats that I wanted!